Essentially this happens because you are using “volume licensed media” to install the operating system, and the machine is looking for a server on your network that runs the KMS Service (Key Management Service). You need to have a KMS server if you are activating more than 25 machines. However most of us only have one or two to worry about, in that case you need to enter a MAK (Multiple Activation Key). Note: If you are running a legal copy of Windows then getting a MAK key should be as easy as going to eOpen or speaking to your software reseller. 1. 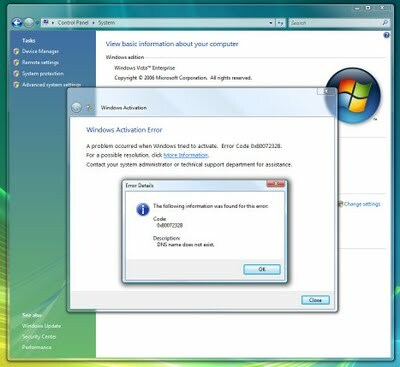 Click Start > Control Panel > System > Windows Activation Section > Change Product Key. 2. 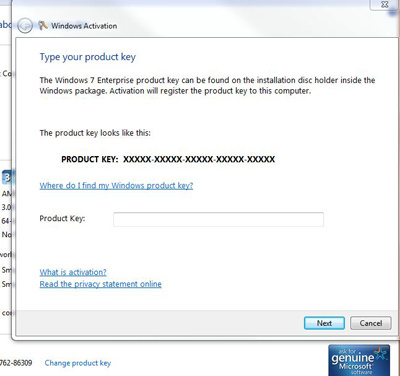 Enter the new MAK Key then activate Windows. 1. Start > Right Click “Command Prompt” > “Run as Administrator“. 3. Wait for the “successful” prompt. Where ABCDE-12345-ABCDE-12345-ABCDE is a valid MAK (Multiple Activation Key).